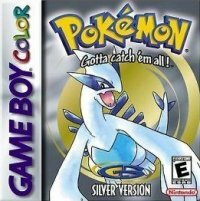 Pokemon Gold and Silver, the first main series sequels, were released in late 1999. These versions don't differ quite as much between Japanese and everywhere else: only a slight variation in version exclusives exist. The games featured far superior graphics and were Game Boy Colour compatible, and had a unique set of sprites between games. They also brought a bunch of new features that have become mainstays ever since, including but not limited to: shiny Pokemon, day and night, days of the week, male and female Pokemon, roaming legendaries, a post game sidequest, bigger roles for Gym Leaders, and so forth. The Pokemon that can be registered in the Pokedex is now 251, although many of the Pokemon are only available by trading in from Red and Blue. At any rate you'll need to trade to get some Pokemon, whether it's to evolve them, to get them from the other version, or because you knocked a legendary out and saved. Breeding has made it easier to part with starter Pokemon: now you can simply send an egg over and let the other player hatch it themselves. 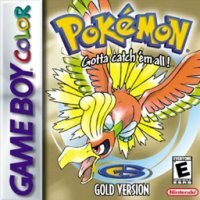 Gold and Silver starts in the all new Johto region, where history is rich and new Pokemon are plentiful, and winds up in the classic Kanto region before the final battle back in Johto. You'll encounter old faces and new, evolutions of your favourite Pokemon, and an entirely different Pokemon challenge. Good luck!